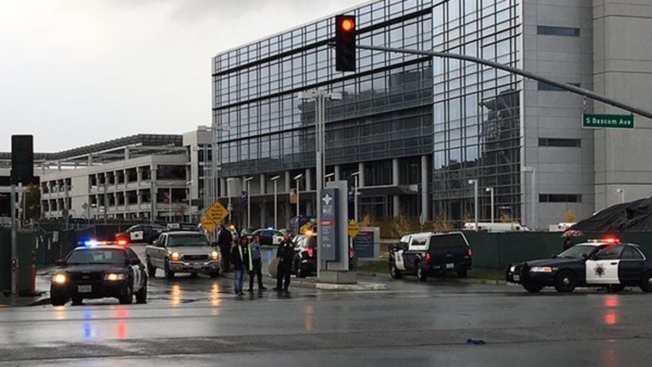 A report of an armed person at Santa Clara Valley Medical Center in San Jose prompted a shelter-in-place order, Thursday, Dec. 3, 2015. Patients at Santa Clara Valley Medical Center in San Jose were turned away for two hours Thursday afternoon after someone inside the hospital reported seeing a man with a gun. The sheriff’s department searched the building and reviewed surveillance footage before calling off the lockdown around 3:30 p.m.
Investigators said no weapon was found. The sheriff’s department says the case is still under investigation. Deputies are trying to speak with the hospital visitor who was suspected of having a gun. The center is located at the corner of South Bascom and Moorpark avenues near the interchange between Interstate Highways 880 and 280.